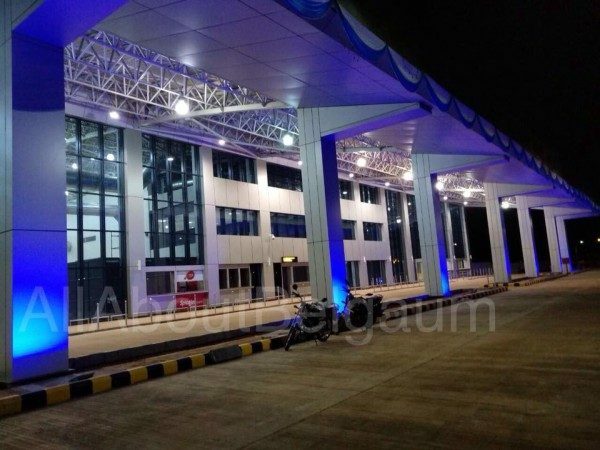 The upgraded Belagavi Sambra Airport will be inaugurated today, but Sakal has made a story which states that the new ATC (Air Traffic control) and new Fire station have some shortcomings and DGCA has yet to approve it and the same can be used only after the same is approved by the DGCA. From the new ATC terminal the western side of the runway is completely visible but the last part of the Eastern side is not visible completely as there are some trees. There are few trees under the Forest and few under the Air force and both have been informed and once clearance is got the same would be cleared. As of now the old ATC and fire station would be used. As a measure of security patrol cars of fire station and ATC will patrol the sides of the runway during takeoff and landings. The current old ATC building is 18.5 mtrs where as the new one is 22.5 Mtrs high but the new one has been built in a low area which makes it of same height in terms if visibility. The old ATC is only 100 mtrs from the runway whereas the new one is 400 mtrs away.